I’m not up on my Korean, but does Cronix translate to “Jetstream” in English? Apparently, Dong-A would like you to believe so because the Dong-A Cronix is awfully similar looking to the black Uni-ball Jetstream Basic Series. Turn the grey grip into black and adjust the markings a bit and you are right there. The should have just gone ahead and called it the Dong-A Jetcloud or Dong-A Rocketstream for goodness sakes. Too bad they couldn’t mimic the writing performance - that would have been an impressive feat! The Jetstream is widely known for its smooth, solid lines and its hybrid ballpoint ink is a personal favorite of mine. I tested out the blue Cronix for this review and while it is not a terrible pen by any stretch, everything about it is a notch below the Jetstream. The ink is smooth, but not as smooth. The lines are solid, but not as solid. The ink is blue, but not as blue. The barrel is sturdy, but not as sturdy. 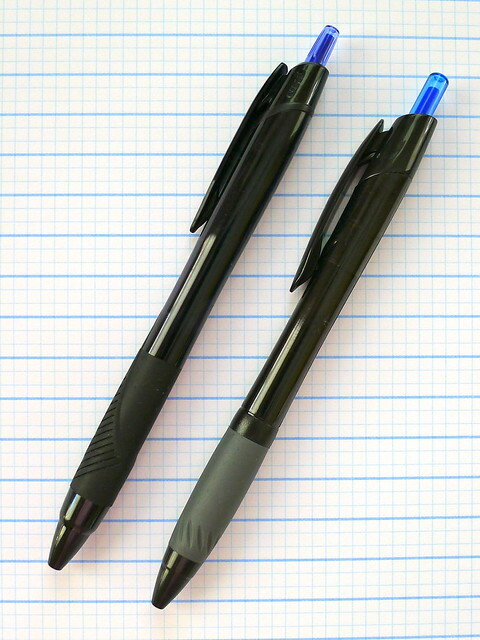 The Dong-A Cronix is a good pen, but not as good as the Uni-ball Jetstream. Why not spend .40 cents more and get the best? 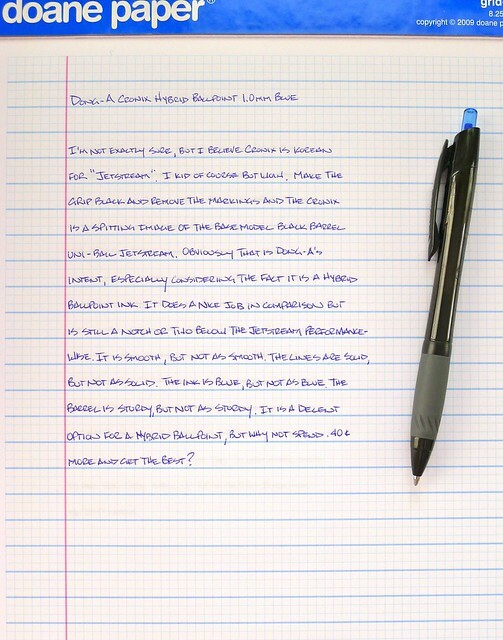 Posted on August 6, 2012 by Brad Dowdy and filed under Ballpoint, Dong-A, Hybrid, Pen Reviews.